Nothing says “romance” like a wedding in Italy, so it is no surprise that more couples are choosing the beautiful Italian coastline as the backdrop for an idyllic wedding. If you are searching for an evocative landscape framed by crystal blue waters, rugged coastline and pretty terraced villages that hug the cliffs, your ideal wedding destination in Italy simply must be the Gulf of Poets and Portovenere region, a stretch of quiet blue water just 1 hour 30 minutes north of Pisa. This is an area that has been beloved by poets and writers, like Byron and Shelley, and still enchants its visitors today. The Gulf of Poets conjures up a wealth of romantic possibilities when it comes to planning a wedding in an authentic Italian setting. There are numerous beauty spots to choose from, so if you are planning a beach wedding, the Gulf of Poets is blessed with plenty of enchanting shorelines, framed with pastel buildings and rugged cliffs. Nestled along its picturesque coast are lovely villages, each having its own distinctive character, such as the beautiful town of Portovenere, with its colourful facades, and Lerici, a medieval town that is dominated by a 8th Century castle. 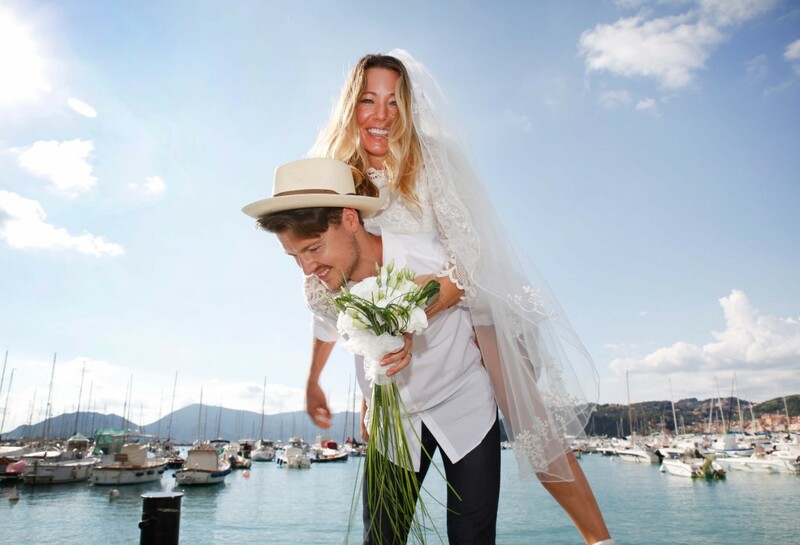 In Lerici, you can organize a civil wedding at the castle overlooking the villas, gardens and historic old town. Alternatively, hold your ceremony in an authentic ex-oratory in the town of Tellaro for a truly memorable experience. Across the narrow channel from Portovenere lies the stunning island of Palmaria, which is largely undeveloped and therefore offers secluded beaches in a rich, unspoiled natural environment. Many couples have enjoyed a truly memorable day captured within this beautiful region, as it is the ideal destination for a romantic Italian wedding.